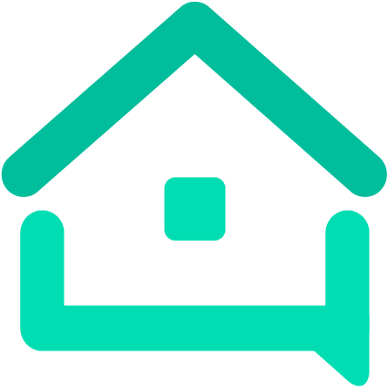 Newbie insurance ques - Tools - We are your AirBnB hosts forum! hello i just registered on here this AM ( just found the forum today). glad to b a part of it i m sure i ll glean lots of valuable pointers… my most pressing concern is insurance: my property is in usa - north carolina - and is a stand alone nore me nore noone lives there full time its 100% airbnb year round i currently am insured with foremost and am not happy with my limits/coverages i ve checked cbiz and they r WAY higher than what i m paying now ( but i guess obviously u get what u pay for…) anyway, anyone have any suggestions that i should look into? Sorry @patepluma, I am not sure I fully understood your post, but if you are looking for home insurance for STRs Iwould suggest you contact a local insurance broker and ask them to provide you with some quotes for specialist home insurance to cover short term lets. You might also need liability insurance. Home insurance for STRs can be quite a lot more than standard home insurance as there is a higher risk for the insurers, so expect it to be higher. You should do a search. I posted the name of an agent a while back. I am in Florida, had to look all over. I ended up with a broker in Chicago, had to look a long time. I ended up with a firm in California that sells a Lloyds policy. Luckily my regular HO policy was about to run out. The additional cost for a policy that totally covered my home and an AirBnB in the apartment in the back ended up costing me about $800 more than my previous HO only policy. You’ll need to make sure that your insurance is in place and that you fully understand what it covers before you start hosting. The cost of your insurance needs to be calculated into your nightly rate and you should fully understand what coverage you get and what any deductibles may be. BTW: My existing insurance broker said that if I even mentioned I was thinking of listing my property my existing policy would be canceled. As an independent broker he searched for a policy and could not find one. We are also in NC and had two main options - CBiz and Proper. Proper was less expensive … we shall see when renewal time comes up. I was using Progressive as a broker for another underwriter before I started hosting. Progressive partners with Slice, which offers pay-by-the-day short-term-rental insurance. It seems like a good deal for people that will have a low occupancy (for me, it would have to be less than 30%) and also a compatible primary policy. Many policies are voided if you use the property for short-term-rentals. The policy I had was not compatible, but Progressive was able to find another that was compatible and even cheaper but also had lower coverage. I ultimately did not go that route because I didn’t know what my occupancy would be and instead got a dedicated primary STR policy from Proper. It cost about $700 more per year than my previous but incompatible policy. Given that my occupancy is about 67%, it seems like the right move. I’m in New Mexico. I can get a standard HO policy with a STR rider for and extra $100 or so a year from Farmers. STR is so new that many companies don’t know how to calculate their exposure. However Geico and Allstate are working on providing similar riders to a standard HO policy. Going to have to check this out. I got my policy with a Farmer’s agent but the policy is with Lloyds and a bunch more than your rider. Thanks for the info.